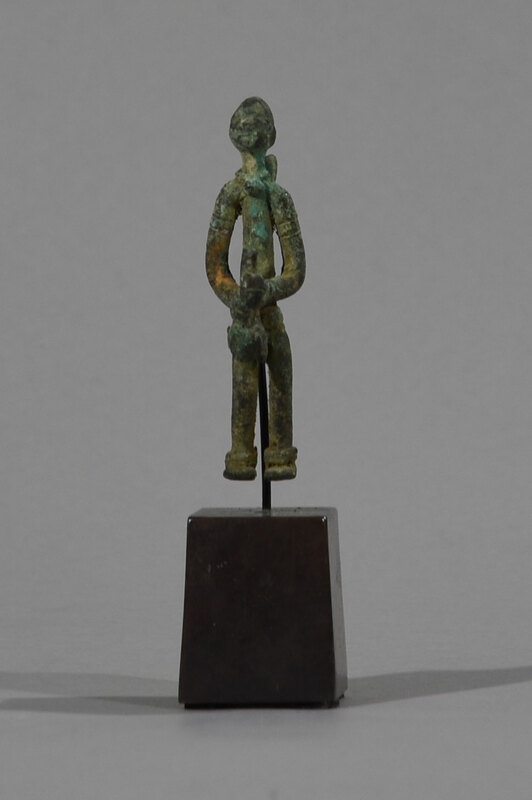 This miniature bronze sculpture derives from the Dogon Peoples from the town of Djenne, Mali at the Upper Niger River. 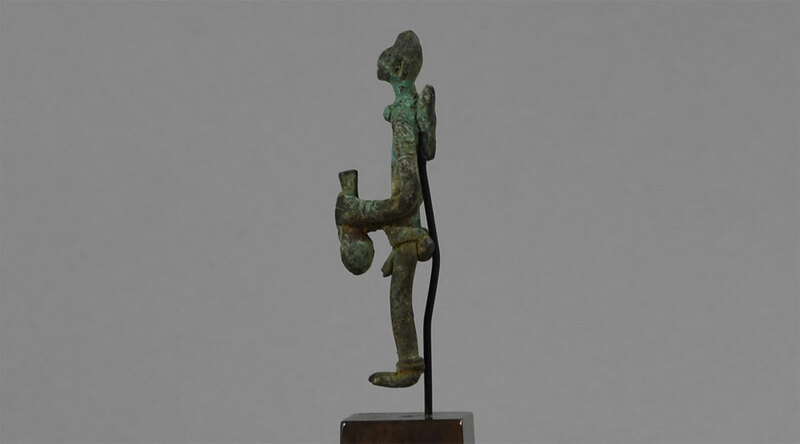 It shows a male figure holding a calabash with water in his hands and a milk container on his back. 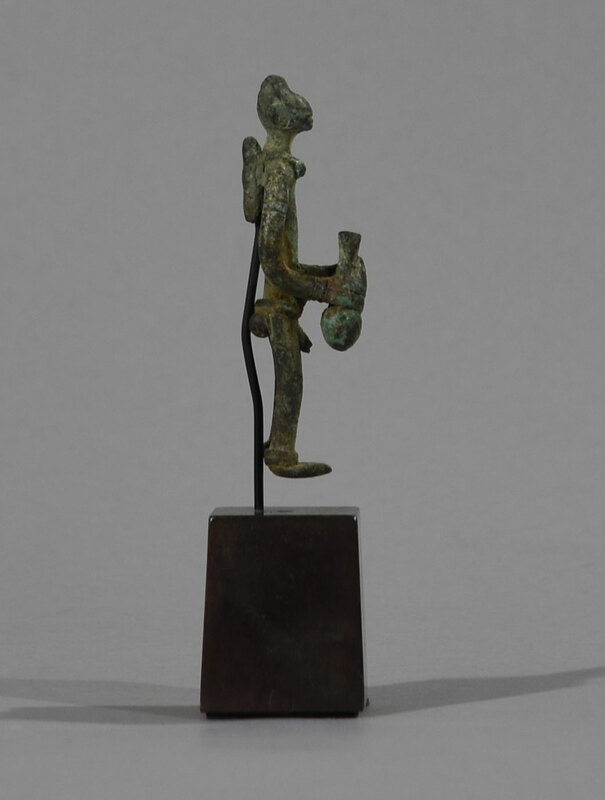 This early sculpture from ca. 14th to 15th Century shows the correct ware and patina for its age and is truly a museum quality piece. The old town of Djenné, Jenne-Jeno, was founded around 800 on an island in the inland Niger Delta of Mali (Schaedler 1997: 32). 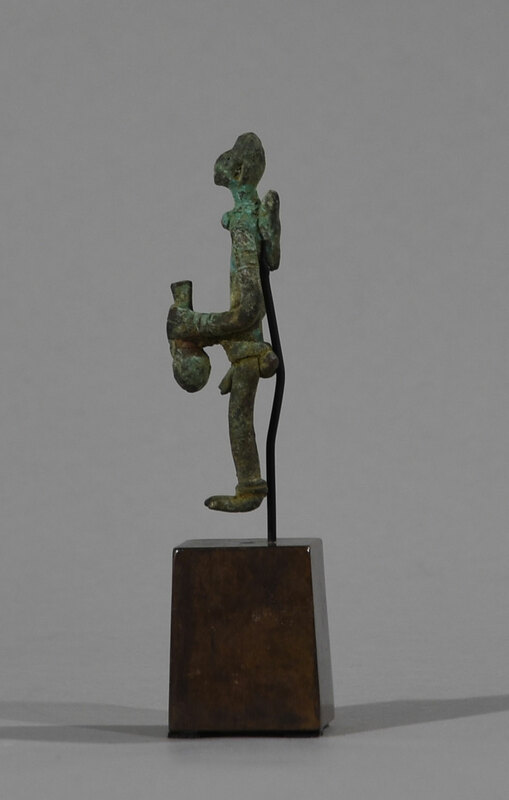 Trade relations with countries north of the Sahara resulted in both economic prosperity and an exchange with Islamic cultures that is reflected in some of the artistic imagery of Djenné sculpture. 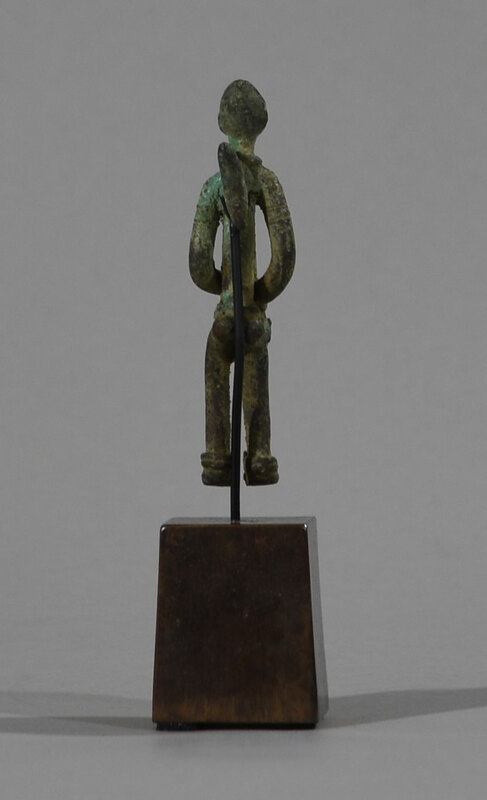 Most of the works discovered on the site of ancient Djenné date between the 12th and 16th centuries; they were found during the annual inundation of the Niger Delta when the water uncovers objects from the overlaying soil.